Do you feel like you need a break? Feeling overwhelmed? 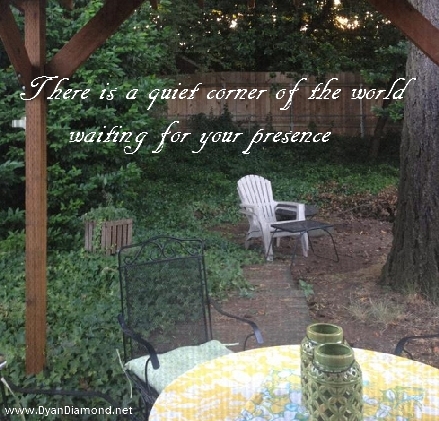 There is a quiet corner waiting for you. Take time for you. Take time to care for yourself. Take time to refocus on what is important to you. Taking a break and getting a new perspective is a great way to refocus. What we focus on is what we see and get more of. Your thoughts are very important. Stop and take a moment to regroup and refocus on the things that your heart desires. Allow yourself to relax. There will always be things on your to-do list. Please put yourself on there too. You matter! It’s important to remember that we matter as much as everything else! We have to make ourselves a priority 👌🏻 I just followed you, can’t wait to see future posts. I would appreciate if you’d check out my blog, thanks. Thank you so much, you don’t know how great that makes me feel! of course, it’s @definitelyrad 💖 again thank you and I appreciate it this!